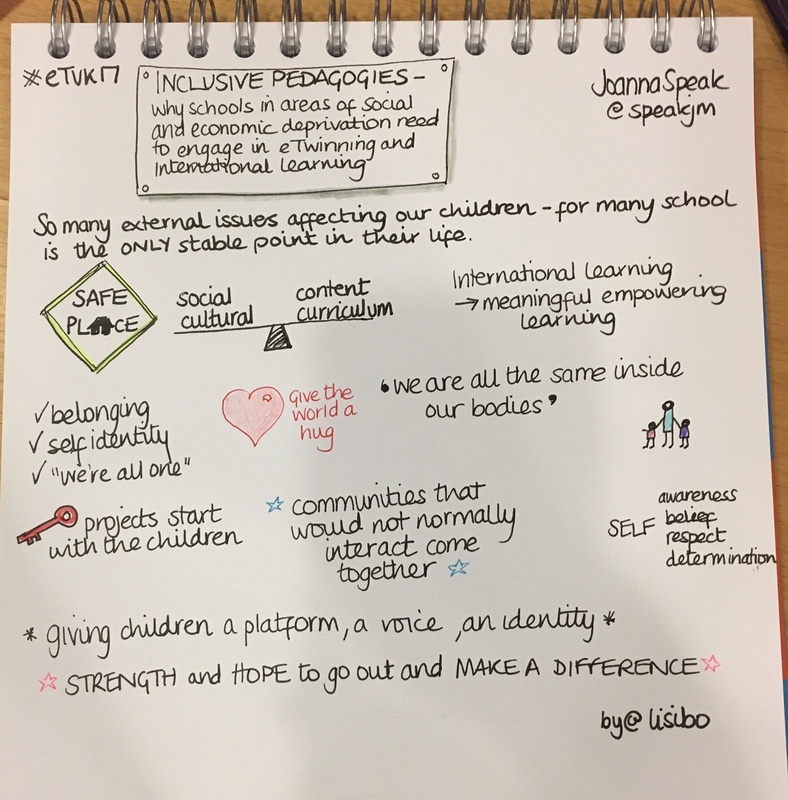 I spent this past weekend in Nottingham at the 12th eTwinning UK National Conference held at The DeVere Jubilee Conference Centre – always the NCSL to me though! 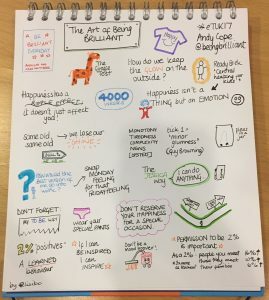 The name of the venue might have changed but the sense of community, fun and learning never varies, and once more I came away inspired, energised and still laughing at onions, pants and Bollywood Maori dance moves. 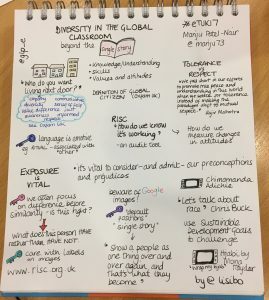 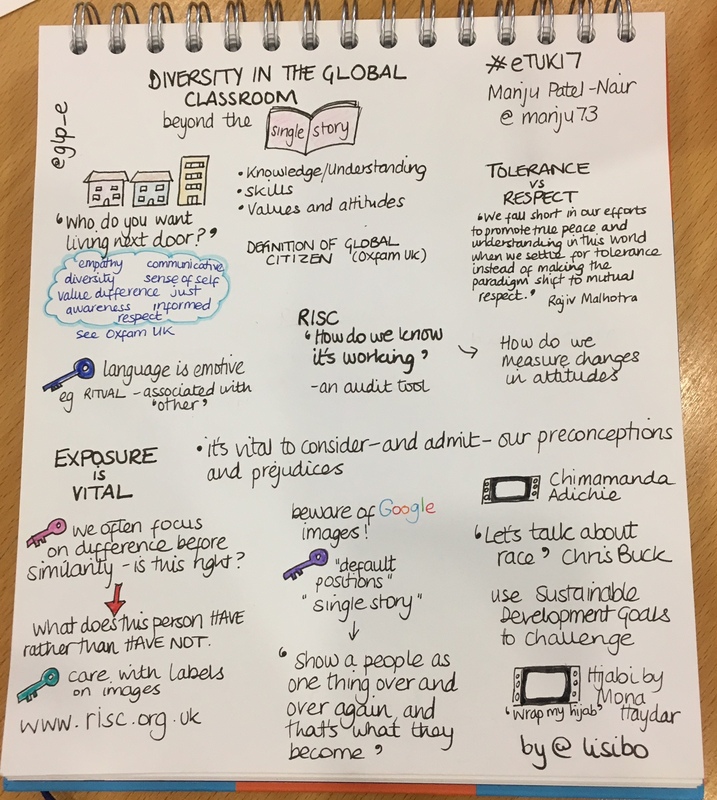 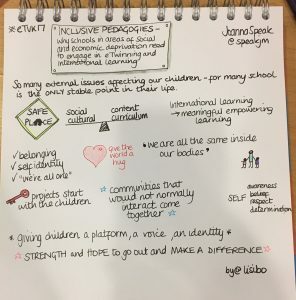 The theme this year was inclusion and below are my sketchnotes from the sessions I attended. 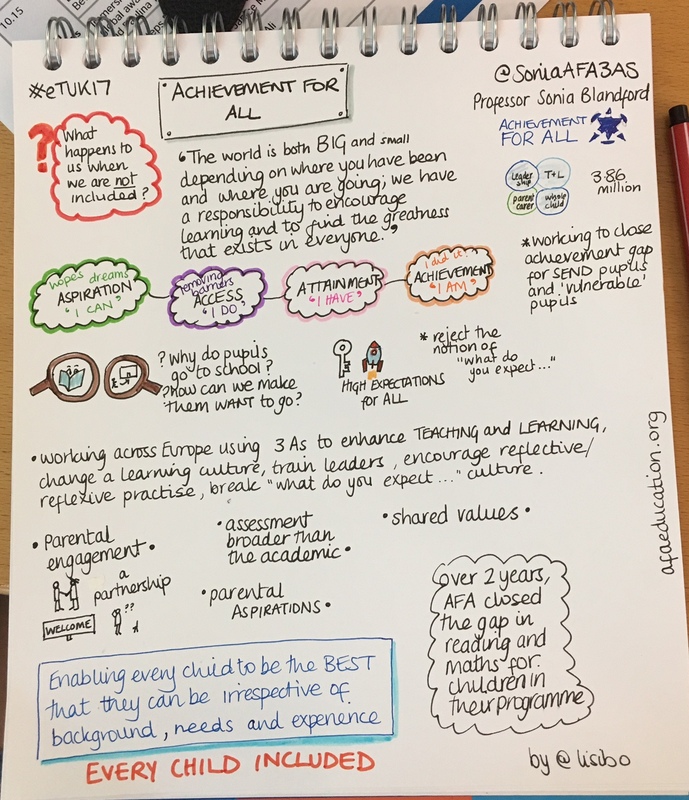 Lots to reflect on and many ideas forming already. 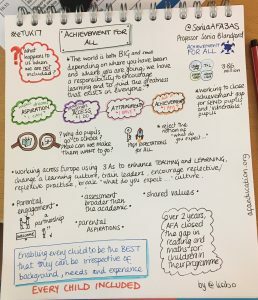 If you want to find out more about eTwinning or any of the other British Council programmes including the International School Award or ISA, feel free to ask questions using the comments below or the contact form. 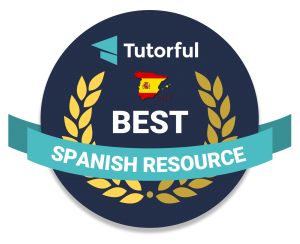 I am a British Council Ambassador and would love to help! 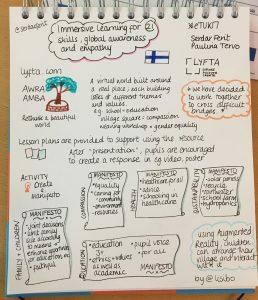 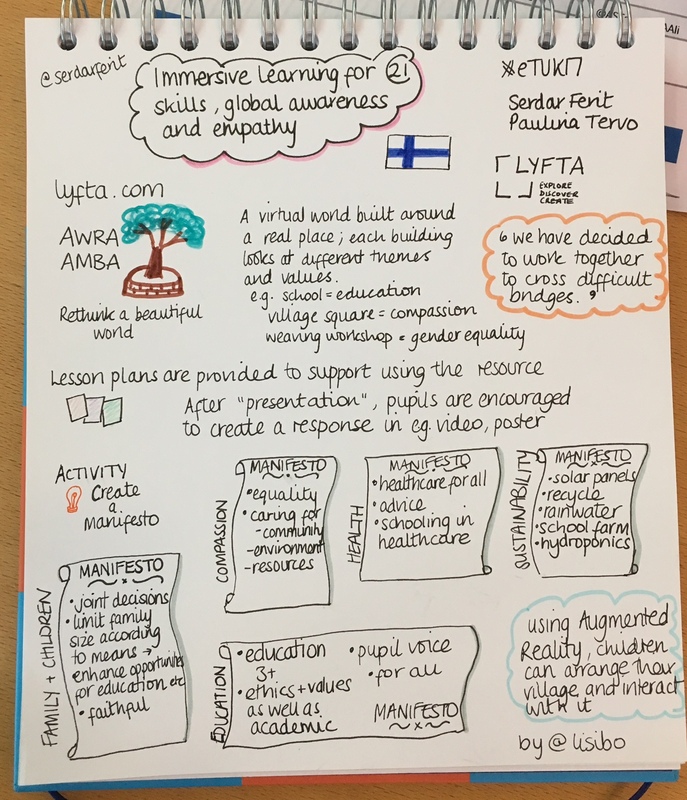 An interesting session on Lyfta, a Finnish designed VR and AR resource to facilitate global awareness and empathy. 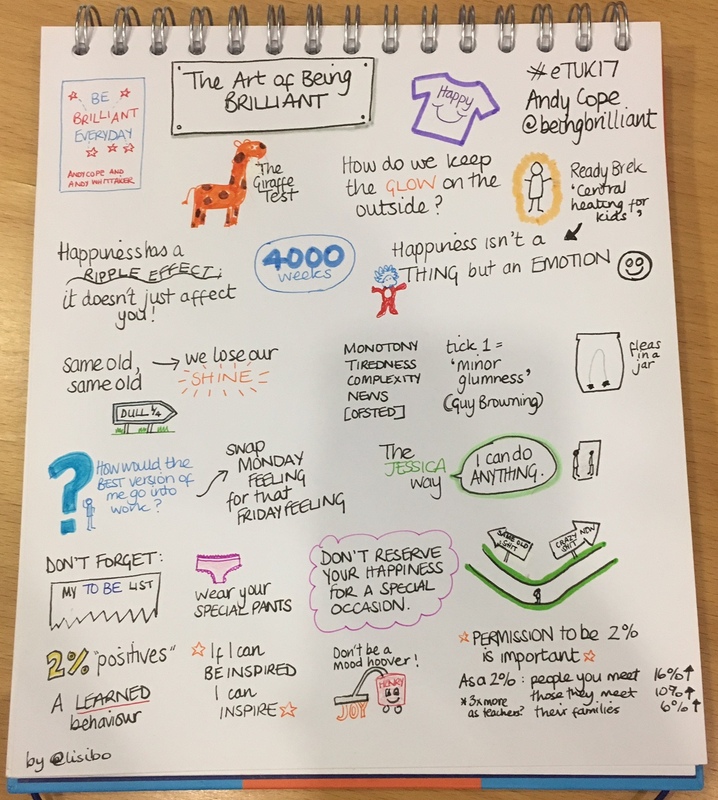 Amazingly motivating session – being a #2%er in my special pants. 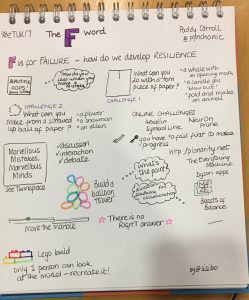 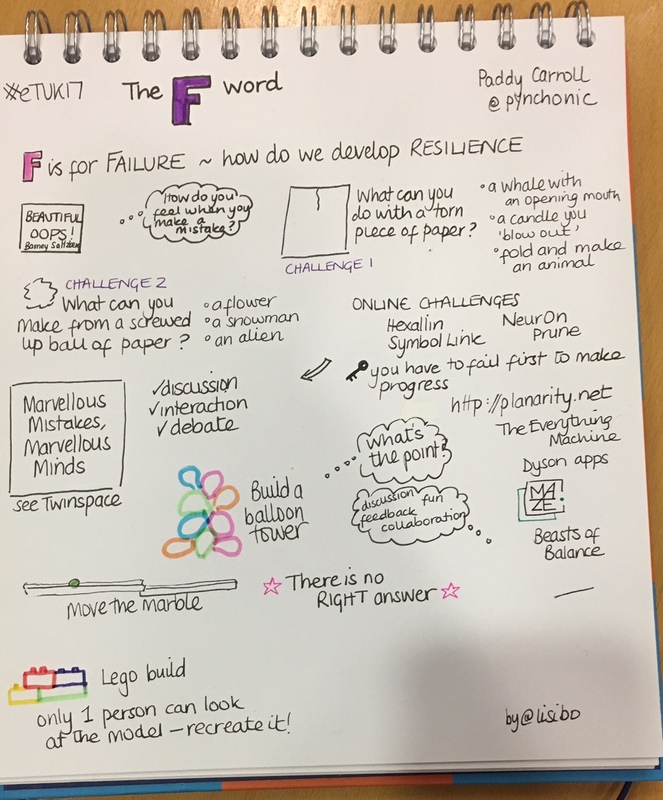 Paddy Carroll shares about The F word – failure, and how his project worked on developing resilience through learning from failure. 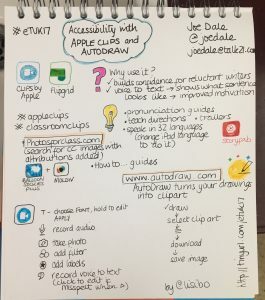 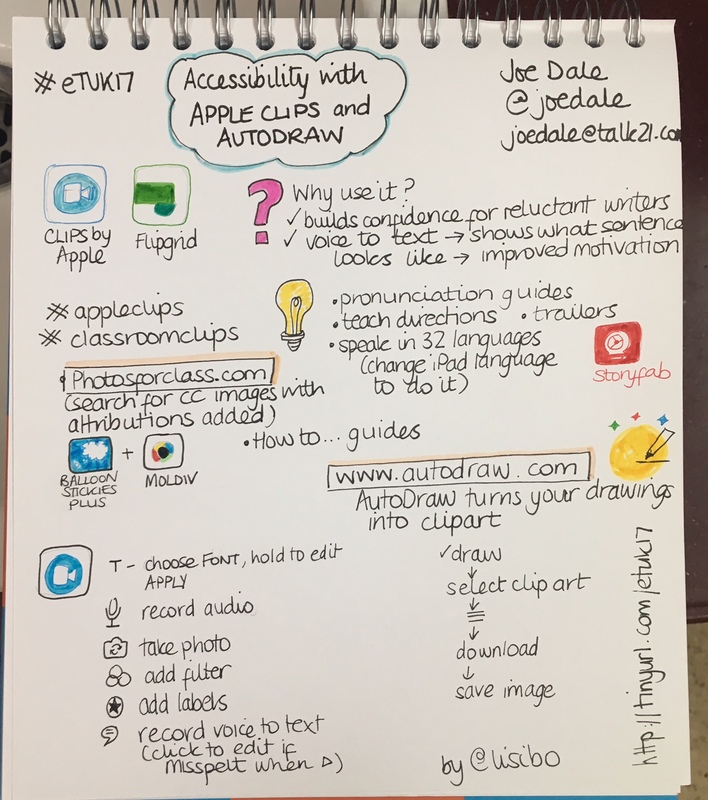 Joe Dale shares how to use Clips by Apple as well as Autodraw (a web tool) and a number of other apps.